The National Consensus Forces (NCF) and the Civil Society Initiative (CSI) have denounced the position of the AU High-level Implementation Panel (AUHIP) during the latest round of talks between Khartoum and the Sudanese holdout rebel movements and the National Umma Party in Addis Ababa. 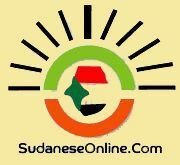 On Friday, a Sudanese government delegation and the Sudan People’s Liberation Movement-North (SPLM-N), the Sudan Liberation Movement faction led by Minni Minawi (SLM-MM), the Justice and Equality Movement (JEM), and the National Umma Party (NUP) met in the Ethiopian capital for a “strategic consultation meeting”, brokered by the AU mediation team. The AUHIP chairman Thabo Mbeki presented the warring parties the text of a roadmap on Sunday, regarding the accords to be agreed on to achieve peace in the country and the opposition’s participation in the National Dialogue. The government delegation signed the document. Mbeki signed as well. The opposition groups refused, accusing the AU mediator of siding with Khartoum. Following the opposition’s refusal on Sunday, Mbeki left for Khartoum to brief President Al Bashir on the outcome of the meeting. Farouq Abu Eisa, head of the National Consensus Forces (NCF), a coalition of progressive opposition parties, expressed his disappointment about “the arrogance of the AU mediation team toward the representatives of the opposition”. He accused the AU High-level Implementation Panel (AUHIP) of “supporting the government at the expense of the core interests of the Sudanese people. “In particular the government delegation’s accompanying Mbeki to Khartoum is an unacceptable humiliation to the AU,” the opposition leader told Radio Dabanga on Tuesday. According to Abu Eisa, the opposition demands “a transparent respectful dialogue that leads to the dismantling of the regime”. He accused the government of “undermining efforts to create an environment conducive to such a dialogue” and called on the international community to support the opposition stance. “There is a one way left for the opposition, and that is toppling the National Congress Party regime through a popular uprising. As all attempts to join the National Dialogue have failed, it is clear that there will be no dialogue anymore,” he emphasised. The opposition leader called on “all members of the NCF to expand the opposition base, in accordance with the Sudan Appeal programme, we signed together with the rebel movements of the Sudan Revolutionary Front (SRF) in December 2014”. He further urged the Sudanese opposition “to unite and refrain from matters that lead to division”, and demanded the forces of Sudan Appeal “to stay committed to the implementation of joint decisions”. Dr Babikir Mohamed El Hassan, Deputy Head of the Civil Society Initiative described the development in Addis Ababa as “no surprise”. 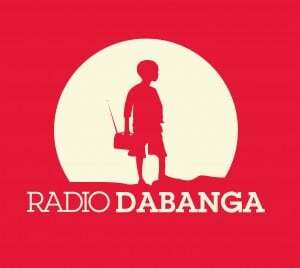 “The government is far from serious about the peace talks and our participation in the Dialogue process, and the AUHIP team is weak and lacks positive neutrality” he told Radio Dabanga. El Hassan expressed his despair at the possibility that the flawed dialogue between the government and the opposition “that represents the people’s demands” will bring about positive results. The leaders of the NCF and CSI signed the Sudan Appeal together with the NUP and the SRF rebel alliance onandnbsp;3 December 2014. In the two-page political communiqué, the allied opposition forces call for the ending of the civil wars in the country, the dismantling of the one-party system, and the rebuilding of Sudan based on democratic principles and equal citizenship. They agreed that if a peaceful regime change cannot be achieved by a broad national dialogue, it should be enforced by an intifada. While the leaders of the SRF and NUP remained abroad, the chairmen of the NCF and the CSIandnbsp;were detainedandnbsp;by security officers after their return to Khartoum two days later. They were released onandnbsp;9 April, a few days before the start of the general election in the country.